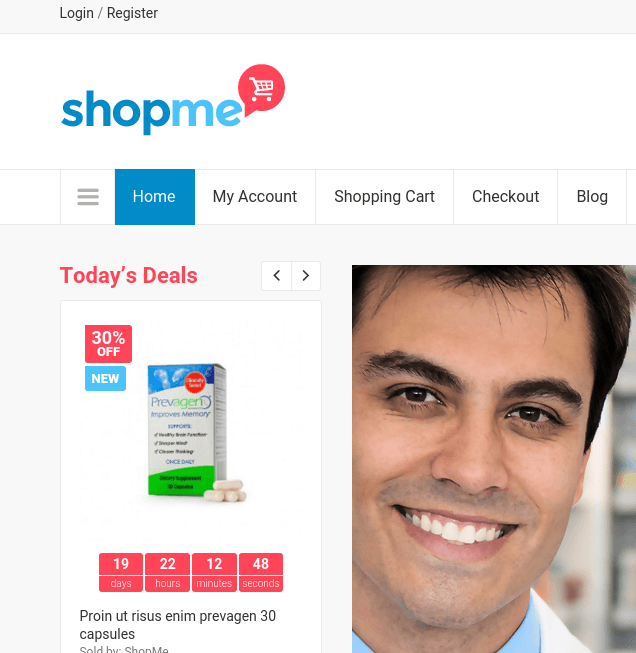 ShopMe is an Ecommerce WordPress theme suitable for building an online shop. It is a well documented theme that will guide you in building site with it, also it is responsive and retina ready hence it can easily adapt devices ranging from desktops, laptops, tablets, mobile phones to iPads and iPhones. On activating this theme you get theme options panel which has lot many powerful settings to choose and customize site with few clicks without any knowledge of programming. This theme is compatible with WooCommerce plugin which allows you to sell products with a secured payment gateway. Wishlist and compare products feature included. Boxed and Wide layouts of theme. 6 different header styles supported. Multiple menus like Drop-down menu, side menu and mega menu. Working Newsletter subscription form and many more features are integrated in this theme.